A couple of behind-the-scenes images from Dwindle: a Tapir’s Tale. 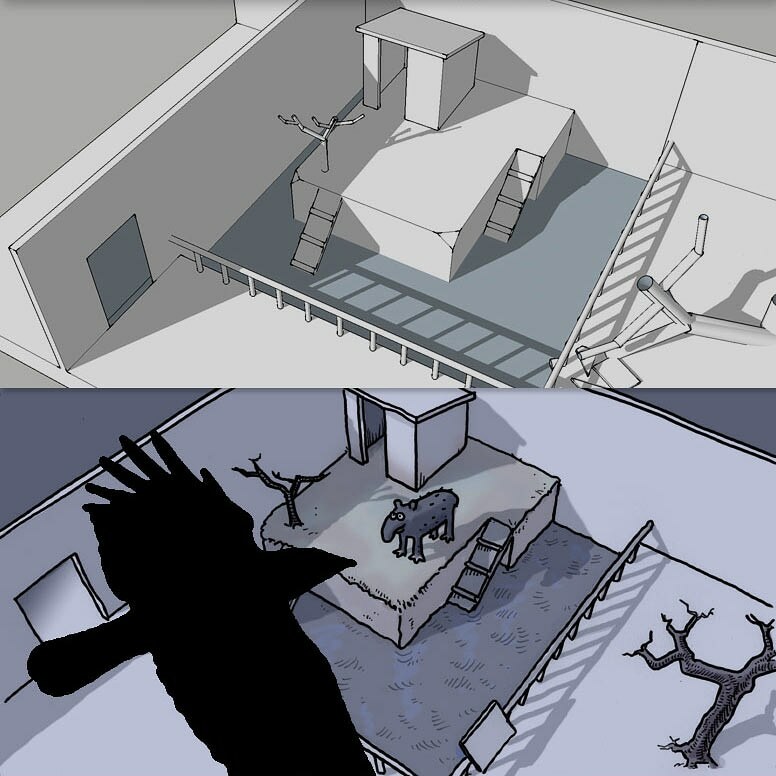 Because pretty much all the illustrations are of the tapir in his enclosure, I made a 3D model in Sketchup (top) to plan the “shots” of all the drawings. I also experimented with tracing over them, digitally, with a view for final artwork (below). In the end I was happier with the hand-drawn approach with cross-hatching, watercolour, and paper texture, so in fact I printed out the 3D wireframes, traced them with a pen on a lightbox, scanned the line-art back in, and coloured them digitally with a palette of scanned watercolour texture. Obviously this took much more time and effort, but I preferred the resulting look, which I felt was better suited for the emphatically off-line subject matter of the story.